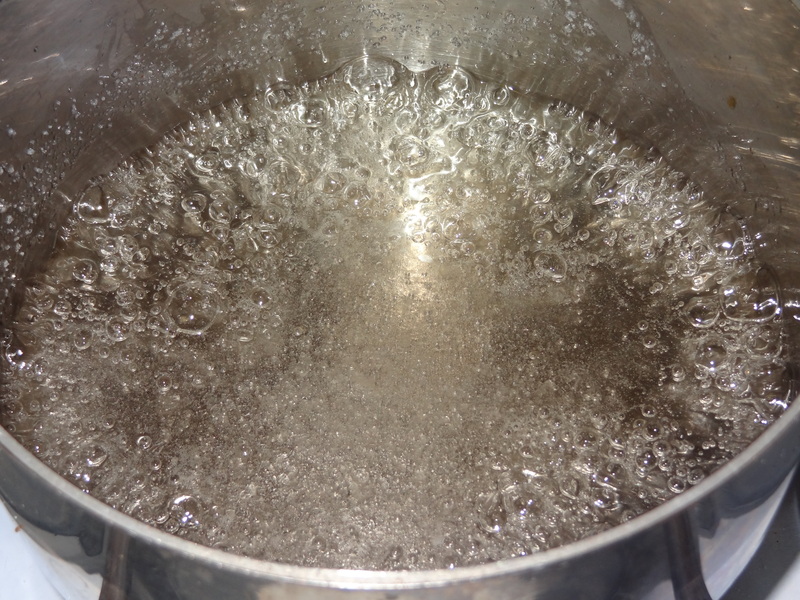 Add sugar and water to a heavy stainless steel saucepan and cook over medium heat until the sugar has dissolved. 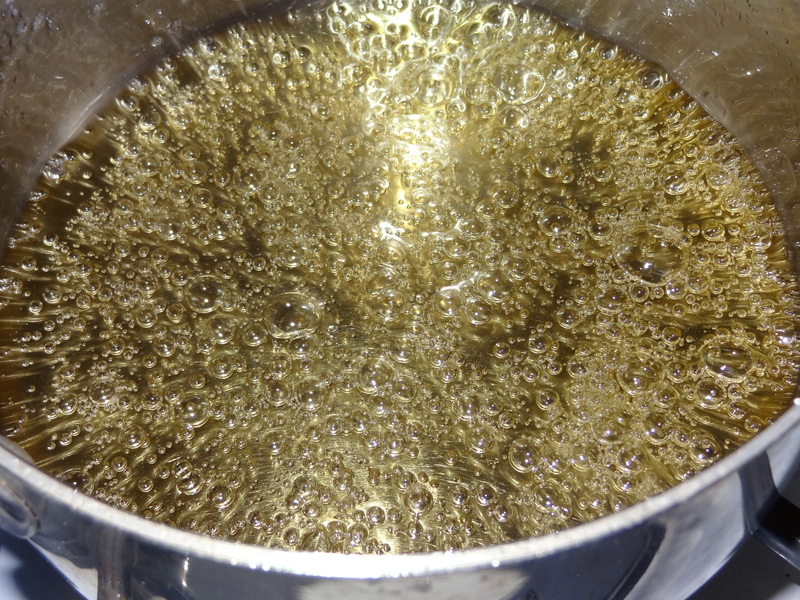 When it starts to brown, swirl the saucepan around but do not stir. 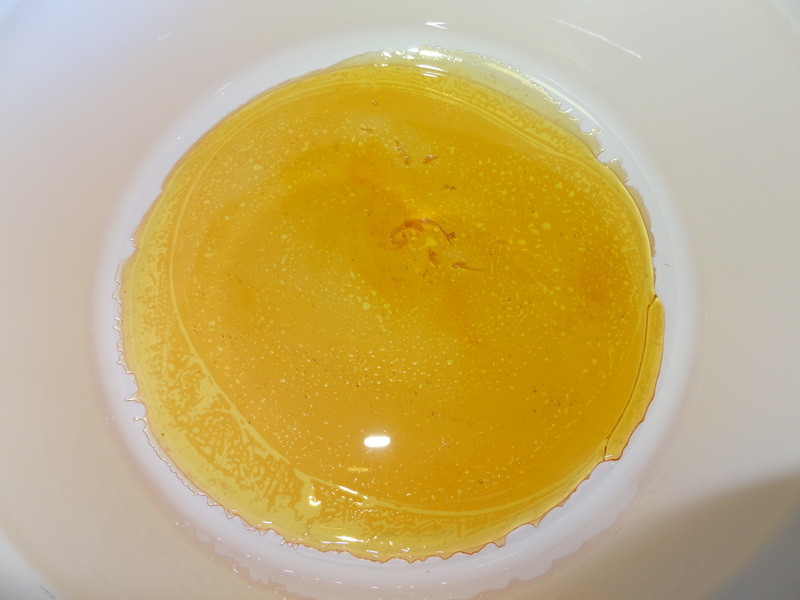 This will ensure that the sugar turns color evenly and will help wash any crystals off the side. When it is thick and a light, nutty brown, remove from heat and pour directly into molds; swirl each mold to coat evenly with the caramel. 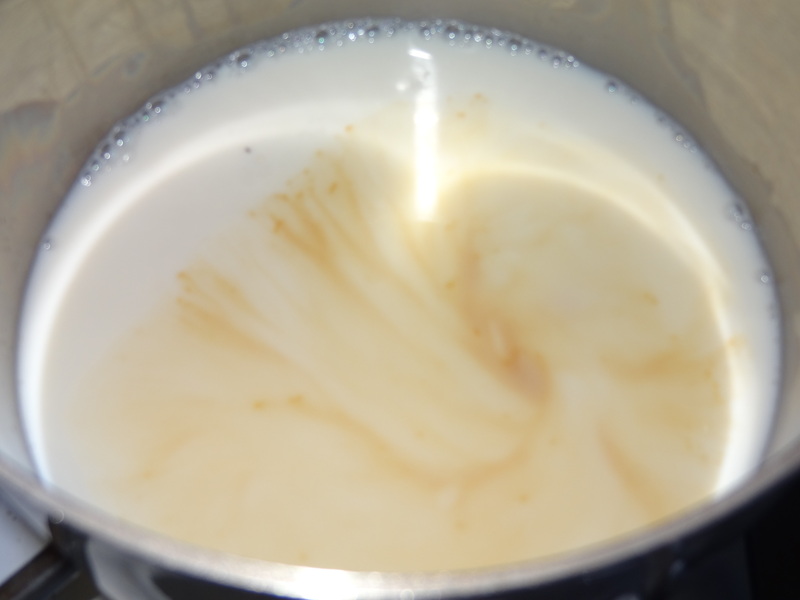 1) Bring the milk and vanilla bean (if you are using) to just below a simmer in a saucepan. Let the vanilla steep in the milk while you prepare the rest of the custard ingredients. 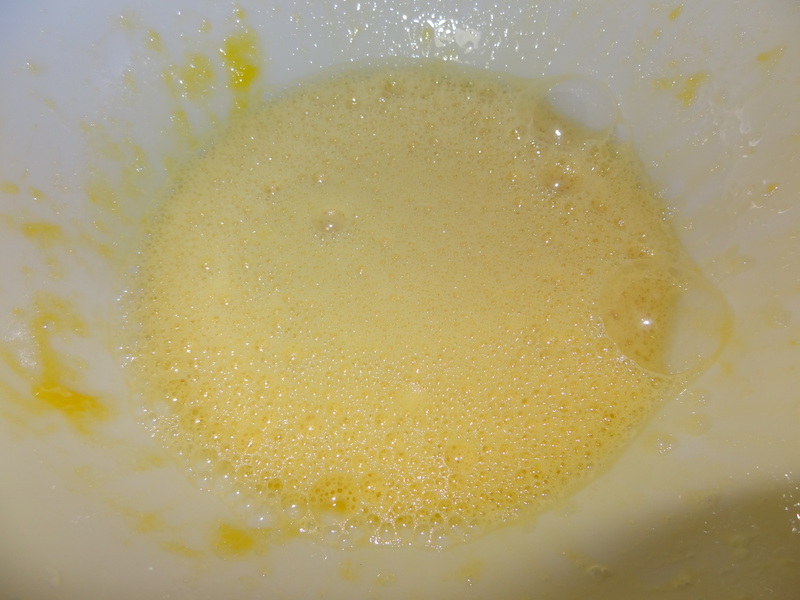 2) Gradually beat the sugar into the eggs and egg yolks in a bowl until well mixed, light, and foamy. 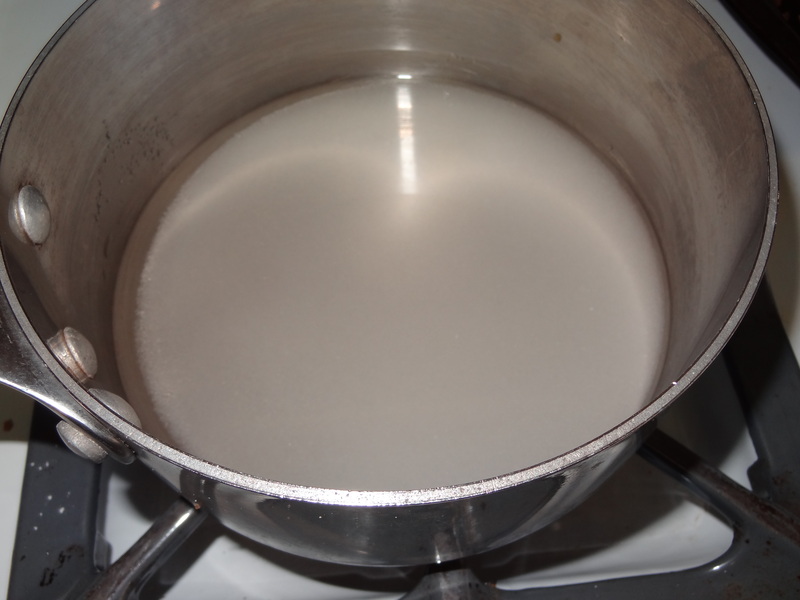 3) Continue beating while pouring in the hot milk in a thin stream of droplets. If you are using vanilla extract rather than a vanilla bean, add it now. 4) Take a mold and pour the caramel. 5) Add the creme mixture in the mold on top of the caramel. 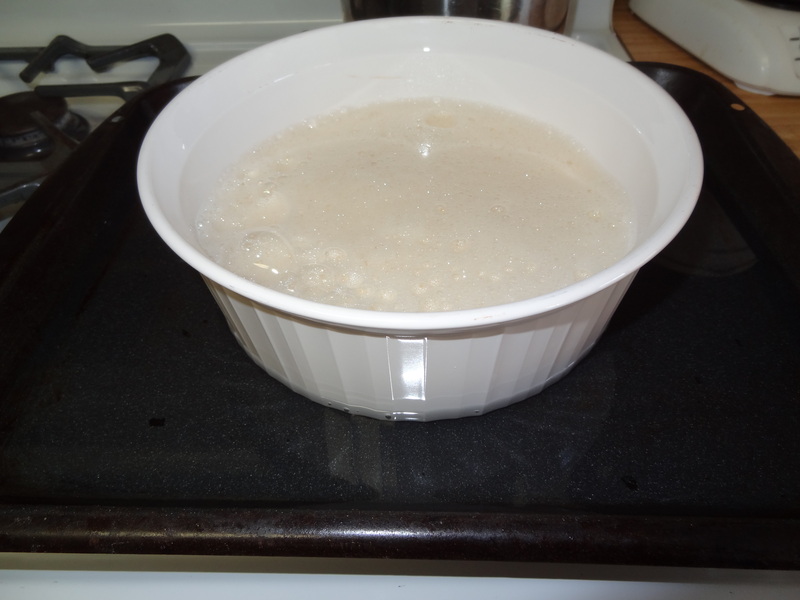 6) Set the mold in a large baking pan. Pour enough boiling water around them to come halfway up the sides. Place in the bottom third of an oven preheated to 350F. After five minutes, turn down the heat to 325F. Bake for about 40 minutes, or until the center is firm but slightly wobbly. 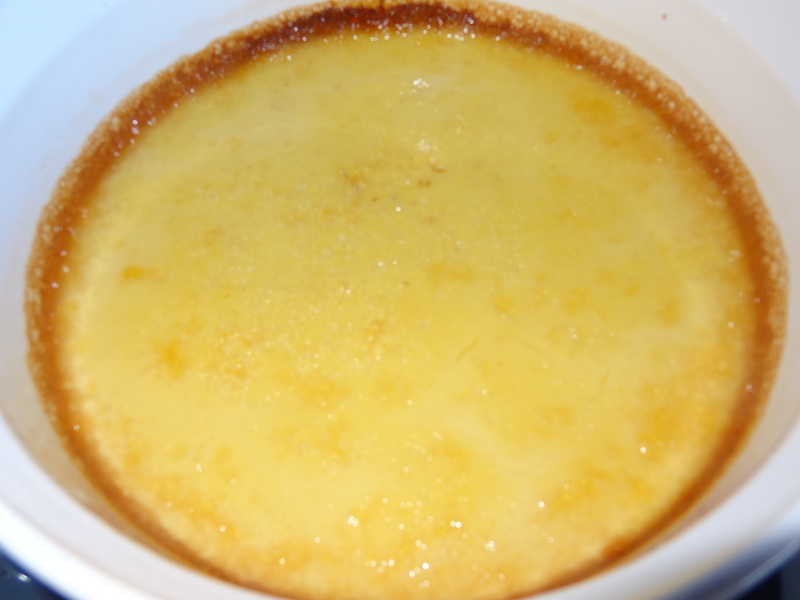 Cooking it too long will result in a tough rather than tender custard.